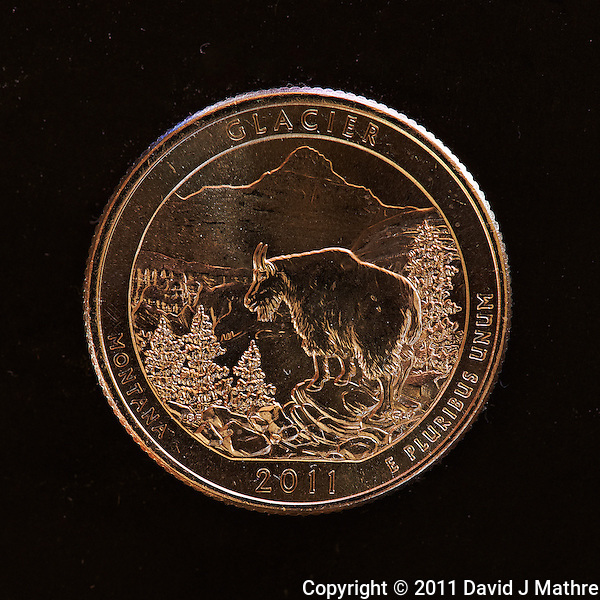 The newest of the National Park Commemorative Quarters, this one for Glacier National Park in Montana is out and in circulation. This is the first one I got as change at a grocery store. Two macro images — one using ambient and incandescent light, and the other converted to B&W. 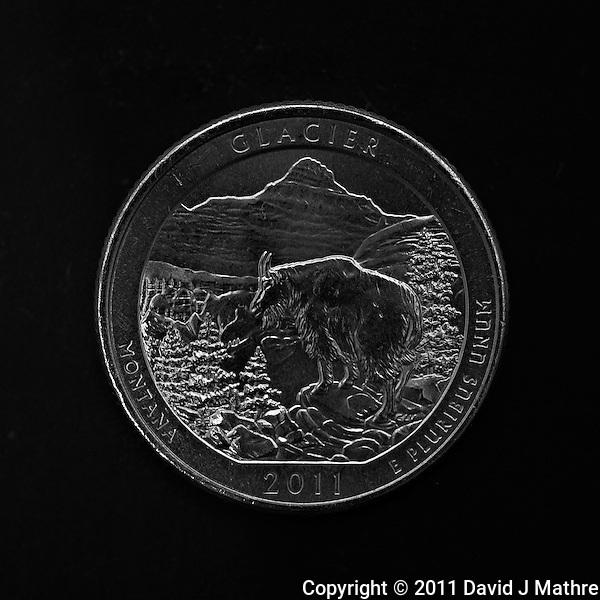 Macro Image of Glacier NP 2011 United States Quarter Coin. Image taken with a Nikon D3x and 105 mm f/2.8 VR Macro Lens (ISO 400, 105 mm, f/8, 30 sec). Raw image processed with Capture One Pro 6 and Photoshop CS5. Macro Image of Glacier NP 2011 United States Quarter Coin. Image taken with a Nikon D3x and 105 mm f/2.8 VR Macro Lens (ISO 100, 105 mm, f/4, 1/8 sec). Raw image processed with Capture One Pro 6 and Photoshop CS5.